A few months back I won the Best Face Friend (BFF) Electric Facial Pore Cleanser from Holistic Beauties. Thanks to Lulle from beaumiroir.com for hosting the giveaway. First I’ll tell you a little about the BFF and then I’ll talk about my personal experience with it. The BFF is a facial cleansing tool that uses sonic high frequency vibrations technology to release blackheads, clogged pores, dirt, and oil. It has 15 adjustable intensities along with 3 different bristle textures. It’s also waterproof. It comes in the colors pink and blue. Using it is fairly easy. You just turn it on and adjust the setting via the plus/minus buttons. Apply your cleanser and gently rub the BFF over your face like you would any other cleansing tool. Cleaning it is even easier. No special cleansers or tools needed. Just run it under hot water and you’re all set! The best part? They claim it holds a charge for up to a year! The only downside to this is you have to remember where you store your charger. Which conveniently plugs right into your computer’s USB port or into your outlet if you have a USB adapter. It took a while to arrive. They do mention this on their website though. The BFF came in a plain white box that housed the BFF and the charger. I thought it was a little odd that there was nothing on the box. I usually end up tossing the outer packaging in the recycling bin anyway, but opening your goodies is an experience. The packaging is definitely a part of that experience. Digging in I was happy to see that the BFF was already charged and ready to go. I made sure to place the charger in a safe place. Right away I noticed a sticky substance at the bottom of my BFF. My bottom finger was resting at the bottom of the BFF so it was noticeable. Although nothing a little alcohol couldn’t fix. It did require a lot of scrubbing though. I wouldn’t have bothered going through so much trouble, but any time I set it down it would stick to the surface. And any time I would pick it up it would stick to my finger. Very odd. After I got that situation under control I went to my email to watch the how-to videos. They are quick and to the point. Finally the time had come to put this baby to use. They do mention that your skin can get red after the first few uses, but assure you that it’s nothing to be alarmed about. I was alarmed. My skin did get very red after the first few uses and that redness really lingered. I find that it’s not so bad when I use it on a fairly low setting on the sensitive bristle side. There are two sides. One side containing smaller bristles suitable for sensitive areas on your face and the second side containing larger bristles for the non-sensitive areas. For those of you who don’t know, my skin is super sensitive. I was recently diagnosed with rosacea too. So I have a whole lot going on. If you have similar skin issues I would be careful going in with the BFF. 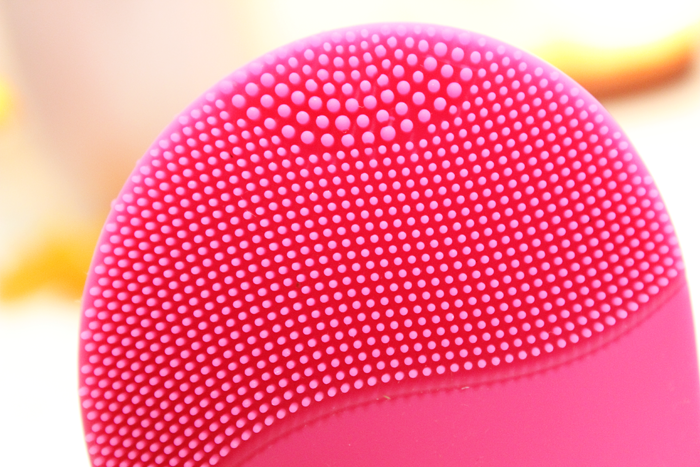 While I agree that it’s much gentler than say the Clarisonic, the silicone bristles can be just as harsh on your skin if you aren’t careful. But that goes for any kind of rubbing. Your hands can even be too harsh. 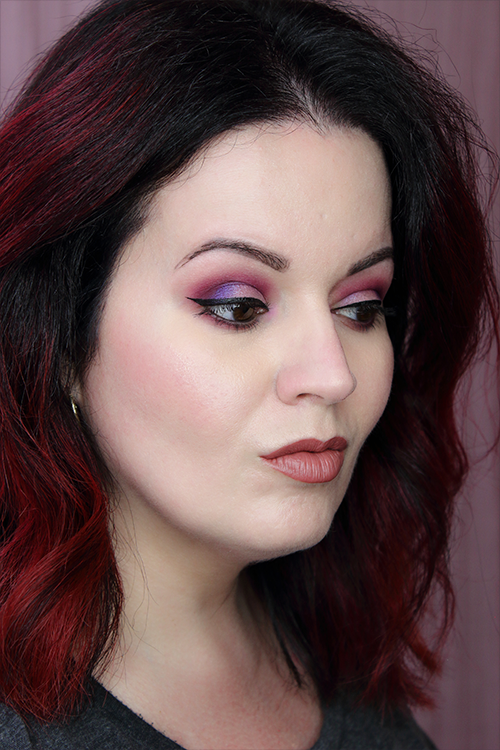 My advice is to go in with a non-foaming cleanser, use one of the lowest settings on the sensitive side, and gently go over your face using circular motions. They suggest 20 seconds each section. I’d say more like 5 seconds if you’re super sensitive. Then rinse clean with lukewarm water and pat dry. There is no one-size fits all when it comes to skin care. This is what worked best for me. They also claim you can use the BFF every day. I only use mine maybe twice a week. If your skin isn’t as sensitive as mine you can probably use yours daily without any issues. But I’ve been hurt before and sadly my skin is still paying for it. But I really love the way my skin feels after using the BFF so I definitely keep it in my skin care routine, but as a weekly treat rather than a daily ritual. Overall, I’d have to say that this is a handy cleansing tool. I think it’s much gentler than other facial cleansing tools on the market, but you should still be careful if you have super sensitive skin or any other skin conditions. I think it’s very cool that it’s a fairly low maintenance tool that doesn’t require brush heads, daily charges, special cleansers, etc. I highly suggest checking out the BFF if you’ve found other cleansing tools to be far too harsh for your skin. I don’t think you’ll be disappointed. If I had one negative thing to say (aside from that sticky substance) it would be the lack of better packaging. I just feel like this is a missed opportunity. While I do recycle most outer packaging I do proudly display/reuse some of the prettier ones. That and such a great product should come packaged like the treat that it is. Of course that’s just my two cents. Have you heard of the BFF? Do you currently use any facial cleansing tools? such a handy and skin-friendly cleansing tool for the skin! I had hoped it would work better than that for you, sorry it’s still too harsh for your skin! 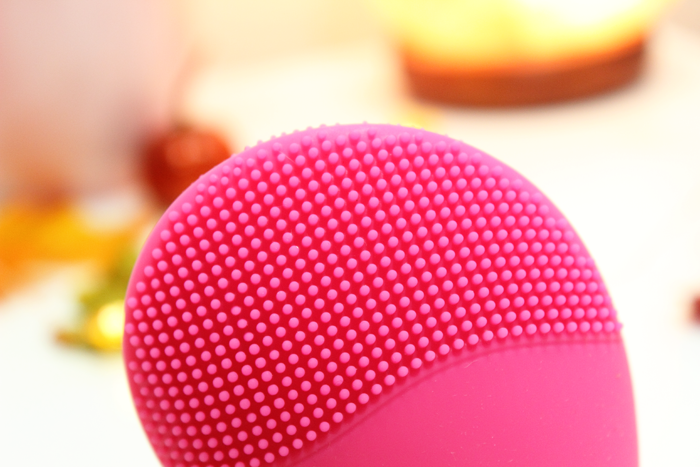 I do use mine daily without any issues, something I could definitely not do with the Clarisonic. It never triggered my redness, so my skin is definitely not as sensitive as yours. Lulle recently posted…#FrenchFriday : The YSL Tatouage Couture Lipstick Now In Metallic Shades! I hope that I didn’t give the wrong impression. I absolutely love it! I notice a HUGE difference on the days I use it. My skin truly feels so much better after using it. I’m hoping in time I can repair my barrier and maybe it won’t be as sensitive. I just wanted to maybe let others know that redness is still a possibility and to proceed carefully. It’s easy to get carried away with our own hands let alone a cleansing tool. I don’t think it’s a reason to shy away from it. I just had to learn the best way to use it for my skin. You’re welcome! I was so excited when the brand emailed to tell me they had picked the giveaway winner and I saw your name! I’m glad you found a way to make it work for your skin. I was just hoping it wouldn’t cause you any redness at all, since it didn’t for me. But every skin is different! Lulle loves this, I remember her review on this. This reminds me of my Foreo Luna, just the shape is different. I first heard about it from Lulle! I hear they are quite similar.